- Minor UI updates and tablet optimizations. 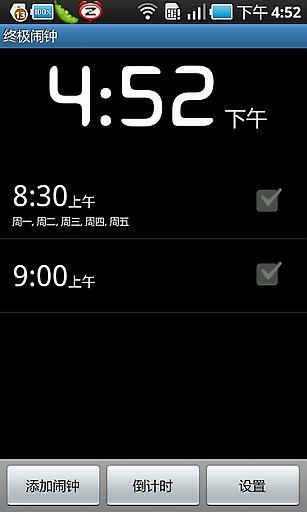 -Found a way to make gradual volume rise more gradual and still use the alarm volume stream. -AM/PM was available but not visible on some devices in v3.5. Fixed now. Sorry for the confusion. -UI updates to better follow newer Android UI guidelines. -Use alarm volume stream instead of media stream for playing sound, fixing sound issues on some devices. -Bug fixes and other minor changes. -Stopwatch and widget options coming soon! 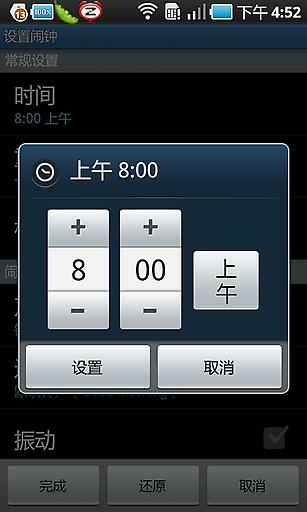 -Use alarm volume stream instead of media stream for playing sound. Gradual volume rise is not as smooth, but seems to fix sound issues users have reported on Motorola Droid Razr and a few other devices.